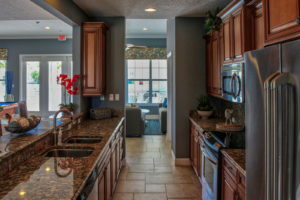 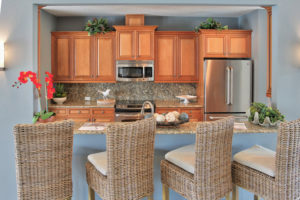 Our great community includes a luxurious two-story clubhouse where residents and guests enjoy super bowl parties with the large screen televisions, hosting wine and cheese parties in the gourmet kitchen, or relaxing in the crystal clear pool as the palm fronds gently blow in the breeze. We encourage you to visit and see our great community for yourself. 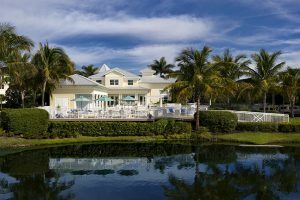 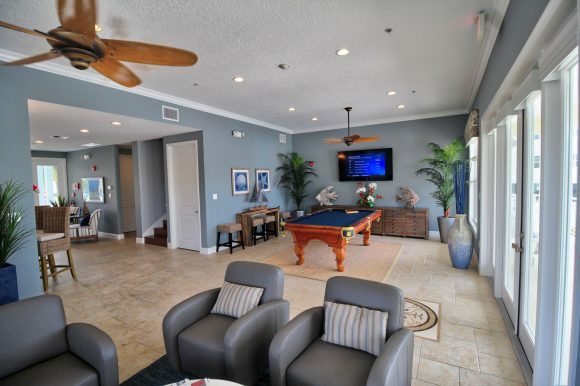 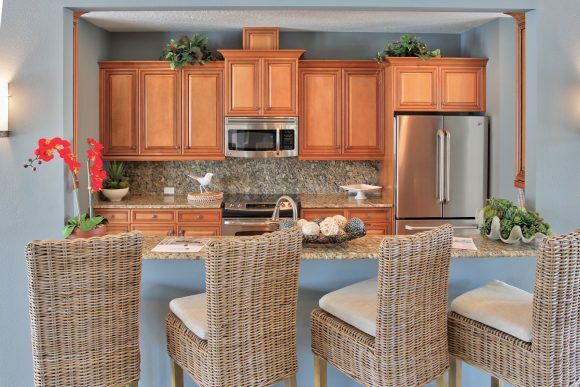 The clubhouse is the center of social life here at Palma Sola Bay Club. 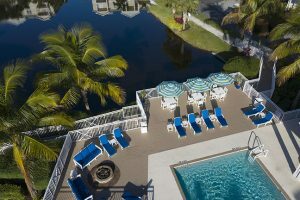 Our resort style pool is open to all residents and is the perfect location for a day spent lounging and socializing. 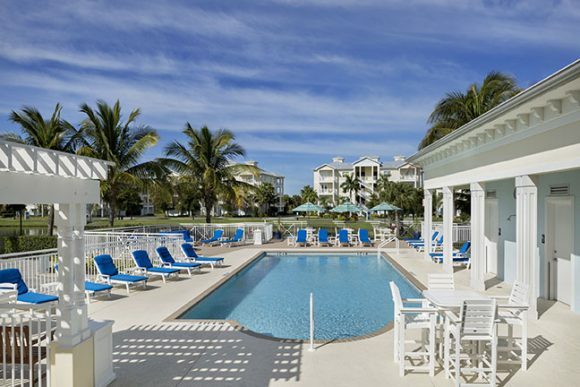 You may even find the time to do a few laps! 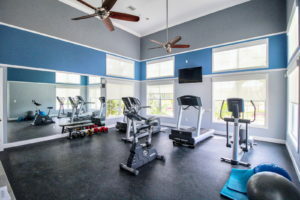 If you’re looking for something more active, our resort clubhouse also has fitness club facilities. Work up a sweat with treadmills, exercise bikes, and even free weights. Our fitness club facilities are available to all residents who are looking to get in shape. 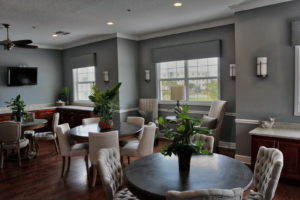 Our clubhouse also offers a myriad of social options. Relax and get to know your fellow residents in the game room, gourmet kitchen, or just hanging out around the large screen televisions. 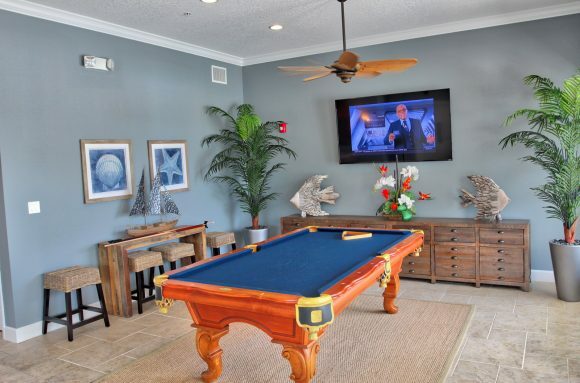 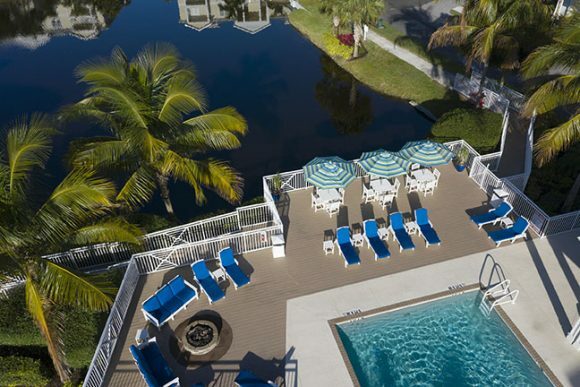 Whatever amenities you need to turn that good day into a great one can be found in the Palma Sola Bay Clubhouse.